China is a huge country, about the same size as the USA or Europe, with the greatest range of weather of any country on the planet. So, before you travel to China, it is recommended that you check the weather conditions. China is vast, and the climate and conditions vary widely from region to region. 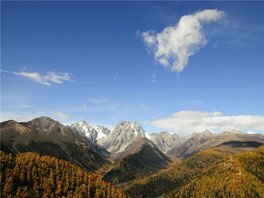 Climates range from desert in Xinjiang (the Northwest), to Inner Mongolian grasslands, to temperate and alpine forests and farmlands, to rice paddies and sub-tropical vegetation, to tropical rainforest, to sunny beaches. 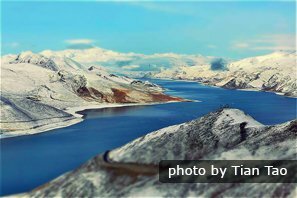 There is the vast high-altitude plateau of Tibet and archipelagos of tropical islands. Along with the seasons, latitude and altitude affect the temperature dramatically, with temperatures as low as -40°C (-40°F) in the north and as high as 40°C (104°F) in the south. Beijing and Xi&apos;an are dry, hot in summer and cold in winter. 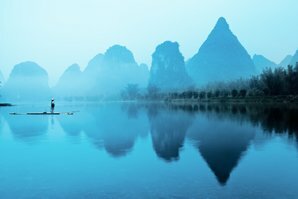 Shanghai (along with nearby Hangzhou, Suzhou and the Yellow Mountains), Guilin, and Hong Kong all experience monsoon rains in the spring and summer, with hot summers and milder winters. Tourists visit Harbin in winter for its ice festival and ski slopes. Tibet has clear skies and big daily temperature differences and is best avoided in the frigid winter. The Silk Road in the Northwest is also best explored in the warmer months, when the deserts and barren vistas are at their best. 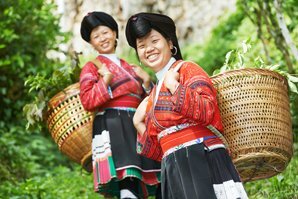 Tropical Hainan is a sunny escape for holidaymakers at any time of year. 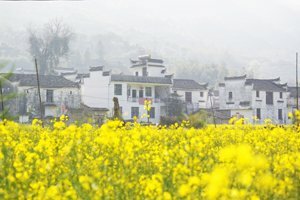 Chengdu is the overcast city, with muggy hot summers and cold dreary winters, and Kunming is the "Spring City" with pleasant mild weather all year round. North China is similar in climate to Nebraska and Kansas, with much less snow and rain during the winter. Dry with hot summers and cold winters, late winter and early spring bring regular dust storms and haze. Northeast China (Shenyang, Harbin) is similar to Minnesota. Dry with a short warm summer, and a long and very cold winter. Xinjiang (China&apos;s Northwest: Urumqi, Kashgar, etc.) experiences severe desert conditions with dramatic daily temperature swings. Summer can get very hot during the day, but generally cools off at night. Similarly, winter temperatures warm up during the day but plummet at night. In dramatic contrast to the desert are the snowcapped Heavenly Mountains, with their verdant pastures, near Urumqi. Tibet (Central West China: Lhasa, Shigatse, etc.) also sees marked daily temperature changes. When the sun shines (and Tibet is known for its blue skies), temperatures reach the mid 80s Fahrenheit (around 30°C) in the summer and the mid-60s (around 20°C) in the winter. At night, or when it rains or snows, temperatures drop rapidly, maybe by 40 or 50°F (20 or 30°C). Precipitation is minimal in the winter; summer showers are more common, but occur mainly at night. South and Central East coastal China (Shanghai to Guangzhou) is comparable to the Gulf Coast states, through winter storms do not occur as often. Rainfall is concentrated in the stormy monsoon months from late spring through summer, leaving autumn and winter relatively dry and settled. Summer is hot and humid. Winter is shorter, cool, and often overcast with drizzle. Further west in the southern half of China there is less rain, except in the mountains. So while Chongqing, Chengdu, Kunming, etc. feel the monsoon the effect is much less marked. 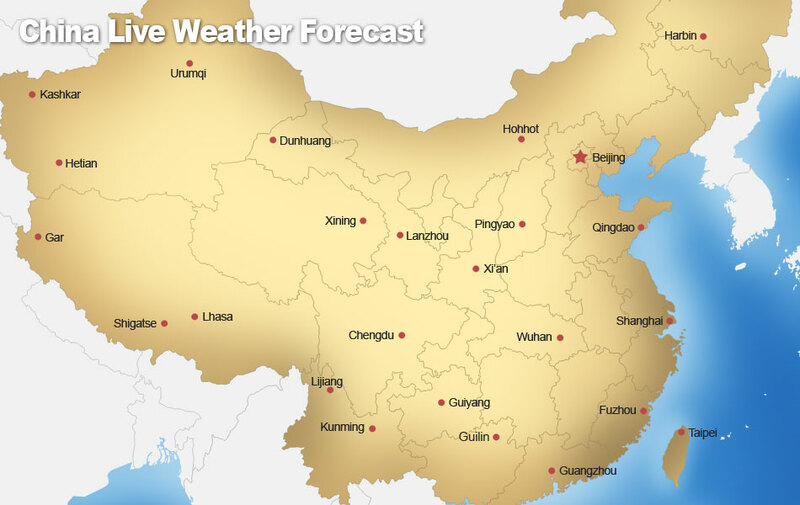 The summer rains are a factor that may affect your trip to the southern half of China. 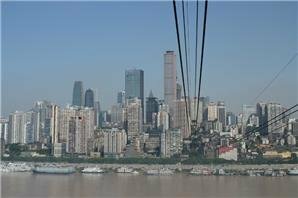 Cruises may be halted if the Li River or the Yangtze is in flood, flights may be delayed by typhoons, and any outdoor activity may be rendered less enjoyable by a downpour. The monsoon is generally greater in intensity the further southeast (or up in the mountains) you go. Hong Kong has the most rainfall, and in Xi’an, and further north, the summer rains are hardly worth mentioning. 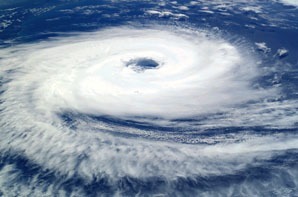 Typhoons can occur from mid-summer to early winter, usually from July to November, affecting particularly the southern and eastern coasts (Shanghai to Hong Kong). Flights may be affected. You should monitor weather forecasts if traveling in affected areas. If typhoons are forecast to affect your trip, your China Highlights travel advisor can change your itinerary to make sure your tour won&apos;t be affected. If already in an affected area, our tour guides also have the flexibility to take you to visit places indoors instead on bad weather days. We suggest you don’t go to isolated or remote places if a typhoon is forecast. Areas near rivers may be subject to flooding during their respective rainy seasons, and this may affect tourist activities on or near rivers. 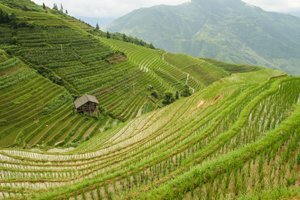 Landslides are more likely to happen in southwestern China&apos;s mountainous areas, Yunnan, Sichuan, and Guizhou provinces, and Tibet, as well as Guilin’s mountainous areas, from April to September. This may interrupt essential services and accessibility to tourist destinations, e.g. Longsheng. The worst tourist cities in China for air quality are Tianjin (worst), Chongqing (second worst), Xi&apos;an, Luoyang, Datong, Beijing, Zhengzhou, Lanzhou, and Urumqi; mostly in North China. Smoggy weather may occur in any month, but the most serious months are from October to January. If it’s smoggy you could buy a 3M n95 mask for 18 yuan. China Highlights provide dust (particulate) masks for our customers if pollution is high, or, if the smog is very serious, we are flexible to change your itinerary. If you have severe breathing-related health issues or feel Beijing is not an option, we suggest touring fresher Hong Kong or Shanghai or smaller tourist cities. In southern cities the air quality is much better, such as in Shanghai, Hangzhou, Chengdu, Guilin, and Guangzhou. But don’t expect the sky to be as clear as in Western cities. China&apos;s remote southwest, west and Hainan Island are currently "free from air pollution issues". 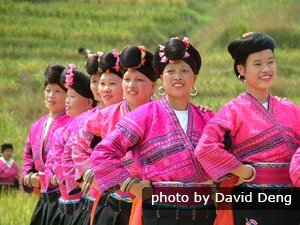 Places with good air quality include the ethnic culture areas: Yunnan Province (Kunming, Dali, Lijiang), Tibet, and Guizhou Province (Kaili, etc.). Cities in North China, such as Beijing and Tianjin may be affected by dust storms in early March or April, but it is not common. Sichuan Province has experienced two sizable earthquakes in recent years. The 2013 quake caused some disruption to tourism around the Panda Research Base and Leshan, but no tourists were injured. 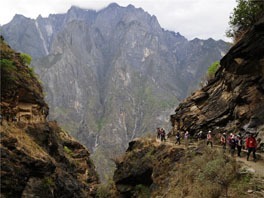 Most recent quakes occurred in remote mountainous areas of West China with no effect on tourism. 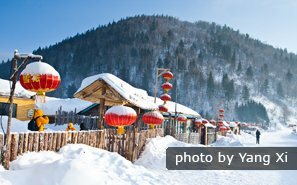 Choosing the best time to visit China depends on which places you wish to visit, and what type of weather you enjoy. May, September, and October are the months when the weather is most comfortable at most of China’s tourist destinations, but they are more crowded. 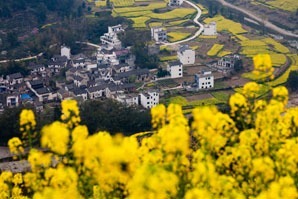 See more, including why the summer months are rated second, on The Best Time to Travel to China. The low season arrives in late November, and continues through the winter when there are fewer crowds and prices are lower. The best time to see fall colors in China is from late September to late November. Fall is later the further south you go.